The ATR is a facility where student athletes receive treatments and preventative care. 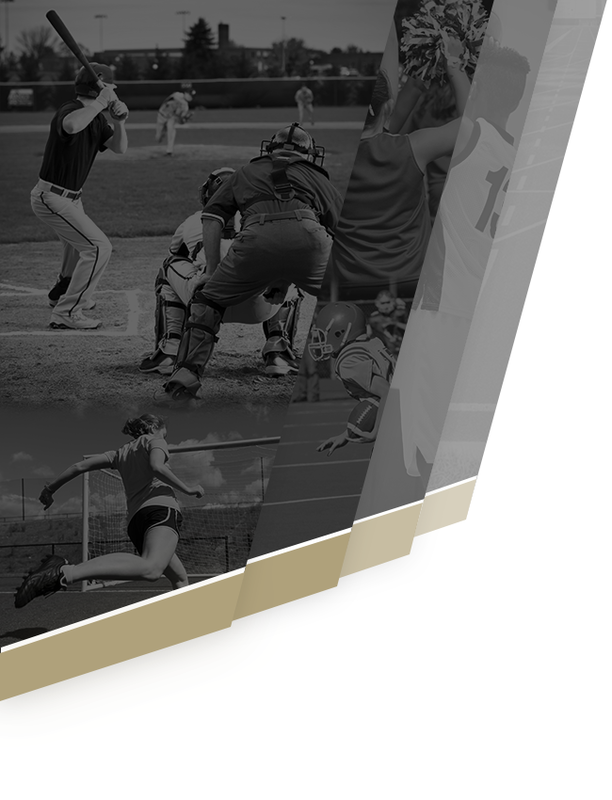 The ATC is responsible for providing services in an attempt to maintain the student athletes’ highest level of competition safely. All other sports’ athletes are welcome to utilize athletic training services at the School during posted training room hours. If any athlete is injured during athletic participation, he/she needs to be evaluated by the athletic trainer. Services in the training room are rendered on a first-come-first-serve basis. Athletes are responsible for signing in daily before getting treatment. On most school days, the athletic trainer will be available M-F from 2:00 p.m. until 6:00pm. On game days, training room hours may vary. Other times may be scheduled if needed, just contact the ATC to make an appointment. If coaches schedule practice times other than during these times, it is up to those coaches to alert the ATCs and arrange for the training room to be available to athletes. Please do not let athletes/others into the training room without consent from the ATC or AD. Also anything that is in the training room stays in the training room unless permission is given by the athletic trainer/AD. At Bradley Central High School, there is one certified athletic trainer on staff. The athletic trainer will prioritize his/her time based on NATA classifications of high risk sports. Because of limitations, there may or may not be an athletic trainer available for all practices or contests. The ATC will be at as many home athletic practices and games as possible. Fall: A game for any sport takes precedent over a practice for another sport. Coverage for sport is as follows: Football, Girls Soccer, Volleyball, Cross Country, etc. Spring: Spring Football, Boys soccer, Softball, Baseball, Track and Field, Tennis, etc. It is the head coach’s responsibility to inform the ATC of changes to practice/game times, dates, and/or location. If schedules changes occur and the ATC is not notified do not expect your game/practice to be covered at last minute. 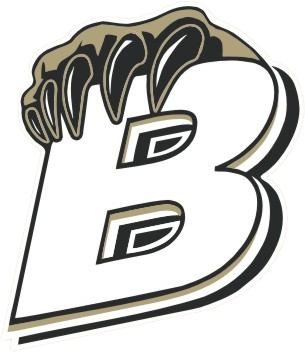 Coaches should remember that the athletic trainer will not be at Bradley Central during the morning however, you are always able to contact that trainer during the day. These forms are given to each athlete at the beginning of their first sport season of the year and must be returned before the athlete will be allowed to practice. Before any treatment can be provided, the athlete must have his/her parent sign and return the Physical packet includes: background information, physical form, concussion form and the consent form which authorizes the Certified Athletic Trainers to render care. The form also authorizes emergency consent and emergency contact to treat in the event a parent or guardian cannot be reached. The forms need to be completely filled out, with signatures from both the parent and athlete. Once complete a copy will be given to the Head coach to keep and travel with while the original will be kept in the training room. If there is question on whether or not an athlete has a physical please contact the ATC. If you have an athlete that transfers during the season you need to obtain a copy of their physical before they start participation. The fastest way to achieve this is having the student/parent contact the school and request the physical be picked up or faxed. If this is not feasible contact the athletic director and inform them that you need the athlete’s physical faxed, keep in mind this can take a couple of days. It is not the ATC’s responsibility to get ahold of the athletes physical that is the athletes/parents responsibility. The ATC can help in the process as a last resort and all other options have been sought out. If an athlete is injured on the field, no matter what type, he/she should never be moved if a head or neck injury is suspected. If the injured athlete has a head or spinal injury and is moved, the vertebrae can shift and severe the spinal cord. A severed spinal cord can mean permanent paralysis for that athlete. Thus, you should never move an injured athlete. All athletes should be aware of this also, if a teammate is down they are to not touch or move him/her. In the case of football, wrestling, and home basketball games, -an athletic trainer will always be present at other sporting events, however, it will be necessary for the coach to evaluate the injury and use a “common sense” approach to whether or not it will be necessary to call for an ambulance. When in doubt, dial 9-1-1. In the event that an athlete sustains an injury, it is his/her responsibility to contact an athletic trainer immediately after that injury is sustained. The athletic trainer will then evaluate the injury and give treatment instructions to the athlete. If the athlete is injured and he/she cannot participate in practice or games, the athletic trainers will let the coaches know. In most cases, please note that the coaches still want the injured athletes to attend practice as an observer. If the athletic trainers are treating an athlete for an injury, it is that athlete’s responsibility to show up at the designated time daily to receive those treatments. If an athlete is injured, the athlete or his/her parents should contact one of the athletic trainers or a Coach. If an athlete is injured and an ATC is not available at the time, the coach should have the injured athlete report to the training room the next day before practice/game to be evaluated. The coach should also inform the ATC of the situation via phone call, text, or email. Coaches also need to let the athletes know that if they have an injury they should see the athletic trainer before they see the doctor, this can help with the referral process. The coach AD/or athlete should also call/text the athletic trailer to alert them to the injury. If the injury is serious, coaches should send the athlete immediately to the ER. All physician release forms must go to athletic trainer before that athlete is allowed back to participation. 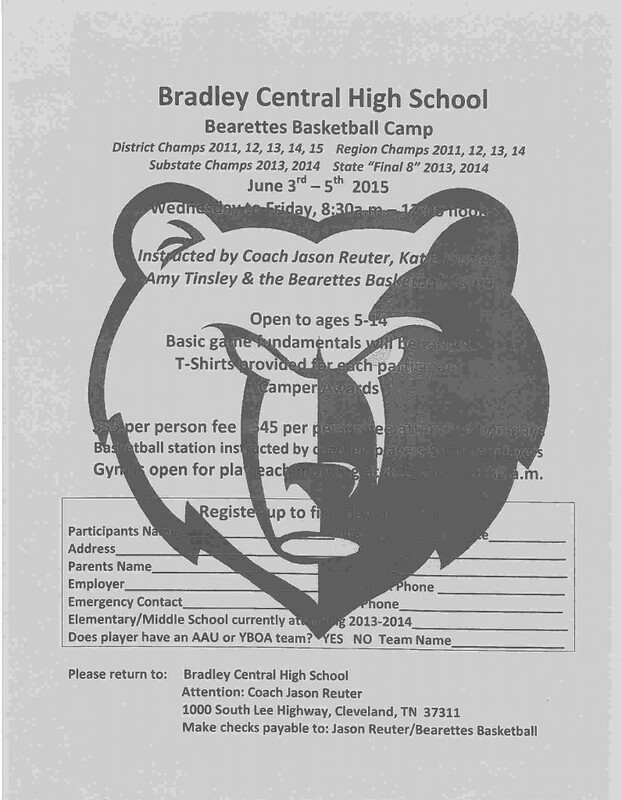 Athletes and subsequent evaluations and treatments rendered by Bradley Centrals athletic trainer must be documented. Should an injury or illness warrant additional treatment and care, the ATC can assist in the referral process. In most cases, when the ATC calls the orthopedic physician directly, the athlete will be seen by that doctor within one to three days. If an athlete/parent makes a doctor’s appointment on their own, the athletic trainer still needs to be advised of the injury and the outcome of the appointment. The coach needs to inform the athlete they need to be seen by the ATC and have open communication about the injury. If a physician referral is necessary, the ATC will then follow that physician’s instructions for treatment and rehabilitation. Any athlete who sees a physician for an injury sustained while participating in a school sport or activity must present a signed physicians release form to the athletic trainer before returning to competition. Any athlete who does not present a physician release to the athletic trainer will not be allowed to resume to practice or participate in games. If an athlete goes to see the doctor they also need to fill out a Tennessee Risk Management Athletic & Student Accident Notification of Injury form. This form needs to be completely filled out and returned to the ATC no more than 3 days after the form is received/Doctor visit. If the form is not completed/returned by the 3 days the athlete will have some form of conditioning as punishment for not returning their form within the 3 day grace period. Obtaining a form is the responsibility of the athlete/parent it is not the responsibility of the athletic trainer to track down the athlete to give him/her a form or to receive a completed form. It is also the coach’s responsibility to assist in this process of distributing the forms to athletes and receiving completed forms and returning them to the ATC. Taping is for preventative measures and medical use only it is not for appearance, swag or anything related to this topic. If an athlete needs to be taped it will be because the athletic trainer has first assessed the athlete and has recognized an orthopedic issue. Unless it is medically necessary taping will not be performed by the athletic trainer and school supplies will not be used. Sore ankles are not necessarily unstable ankles. Please don’t just send athletes in to get taped because they are sore. Many times the better option for the athlete is physical therapy to help strengthen the muscles that support the joint. There is always an underline reason for an injury, the ATC’s job is to help figure out why the issue has come about and how to solve it. Preventative taping will be performed as long as they come every day. The athletic trainer will not tape athletes just for game days. The feeling is that athletes don’t- and shouldn’t- play harder in games than they do in practice. If there is a need there can be a tape list made for games. All practice and pregame taping will be done in the athletic training room unless otherwise scheduled. Athletes are responsible for allotting enough time to be taped before their activity; the athletic trainer is not responsible for miss management of time. Spatting will be done in the locker room, due to the fact that cleats are not allowed in the school. Other treatment services available in the training room include cold therapy [Ice, cold packs), thermotherapy (heat packs), electronic stimulation, ultrasound, these two are only performed on special occasions. Assisted stretching, wound care, and some forms of assistance with rehabilitation. These treatments are given under the discretion of the medial team (athletic trainer, physical therapist, doctor). ATC are not allowed to dispense any type of medication and should strongly discourage athletes from carrying their own. NO over the Counter medications are available in the training room, these include Ibuprofen, Tylenol, and/or Advil. Due to the fact that the student athletes are under the age of 18 and without parent consent, the athletic trainer cannot dispense medication. Athletic trainers are able to dispense medication prescribed by a doctor if need be. If an athlete has some sort of medical condition in which they need medication the athletic trainer needs to be informed of the situation. It is the athlete’s reasonability to inform the needed personal (coach, athletic trainer) of the situation and distribute the needed medication. 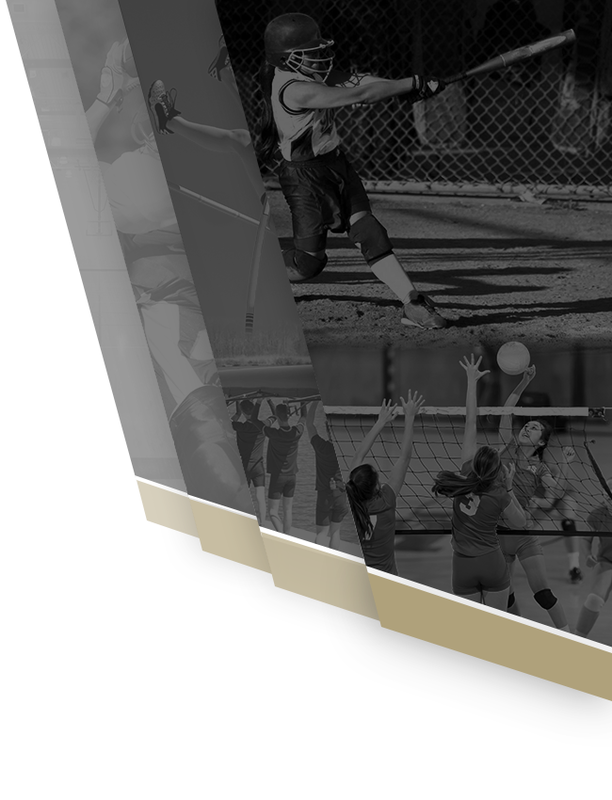 The ATC is willing to help design a strength and conditioning plan for any sports team. With the knowledge of the body and the mechanics of the sport the ATC can create a program to help reduce injuries. In accordance with the National Athletic Trainers Association’s rules and recommendations, all coaches, both head and assistant at Bradley Central must be trained in first aid and CPR. They must also watch an educational video on concussions. Supplies are limited to what each sport purchases, beyond the very basic needs. Coaches are required to buy their own tape for your sport and any other special supplies you may need. This means the head coach is responsible for purchasing the supplies for their team before the season starts. The athletic trainer can help the head coach with a supply list and with purchasing but it is not the athletic trainer’s responsibility, beyond basic items (band aids, wound care, ice bags, etc.). Along the same lines travel kits can be made for any sport that wants one for away games again it is the coach’s responsibility to let the trainer know they want/need one and it is their responsibility to purchase the needed supplies. The supplies will be kept in the athletic training room in locked cabinets labeled for each team. Before you use any supplies in the training room you need to conform it is from your teams supplies. Taking of others supplies will result in some sort of compensation/punishment this goes for coaches, athletes, and anyone else. The Health Insurance Portability and Accountability Act (HIPM) prohibits any dissemination of medical information to non-authorized parties. Administrators, coaches, and sports medicine personal should never release any information about an athlete’s injury or condition to any person without expressed consent from the athlete/parent. There will be situations in which the athletic trainer will not be present at the time of an injury (away game). It is the coach’s responsibility to inform the athletic trainer of the injury/event that occurred, it is also the coach’s job to document the injury/event. The coach should keep a copy of the report as wells as giving a copy to the athletic trainer for his/her records. Respectful attitude: Coach’s shall respect the rules and decisions of the ATC. Coaches are not to disrespect/slander or overrule the ATC for any reason especially in front of athletes. If a disagreement occurs please be professional and have a conversation with the ATC about the situation. ATC’s are medical professionals and are expected to be treated as such. The same respect will be reciprocated toward the coaches. Rosters: Coaches should have a roster to the medical staff prior to their first practice session. Diagnose and Treat: Please do not try and diagnose or treat an athlete s condition. Prevent Injuries: Use your best discretion with Heat illnesses, practice surfaces, environment, equipment, and strength/conditioning training to prevent any injuries. Practice or Game Change: Please inform the Athletic Training Staff of any changes in your schedule. Time, equipment and manpower from the athletic training room go into preparation for practices and events. It is greatly appreciated and the responsibility of the coach. Injured Athlete: If one of your athletes sustains an injury they should report that injury immediately to the Athletic Training Staff.